She’s a classic, with one of most fascinating tales in all of name-dom. 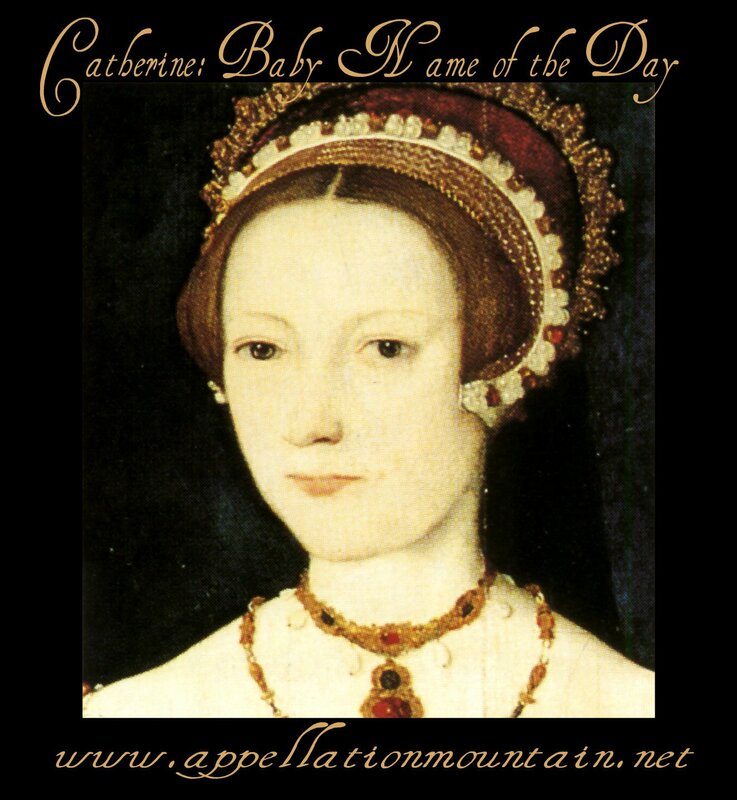 Thanks to Jaimia for suggesting Catherine as our Baby Name of the Day. Conventional wisdom is that Catherine means pure, from the Greek katharos. That meaning has been shared with Karen, Katie, Kaitlyn, Kaylee, and plenty of other names related – even thinly – to the original. But there are hints that Catherine predates Ancient Greece. The Carians might have been around as early as the Bronze Age, in what we now call Anatolia, in modern Turkey. There is some reason to suspect that the goddess Hekate came from the Carians’ pantheon. The theory goes that Hekaterine was derived not from katharos, but from the goddess Hecate or Hekate. These days, we associate the goddess with witchcraft and sorcery. It reads a little bit goth. Hekate is associated with crossroads, fire, light, and knowledge of herbs, among other things. She was a household protector in ancient Athens, and is sometimes associated with Artemis. Several given names associated with the goddess were once in use. In the fourth century BC, Hecatomnus was King of the Carians. For more on Hecate, Isadora wrote an excellent post. There are also the Hekaterides, nymphs of the rustic dance, but I can’t find a connection to Catherine and company. 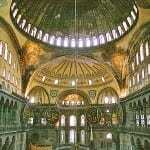 It seems likely that a name similar to Katherine existed prior to the early Christian era. But Catherine owes her popularity to a martyr saint from Alexandria. It is said that Catherine was born a pagan princess of uncommon intelligence and beauty, converted to Christianity in her teens, and refused to marry beneath her. This proved difficult – ultimately, Catherine decided that the only one who outshone her was Christ himself. She spent her days converting others to her faith, but when she tried to convince the Roman Emperor Maxentius, things went south. It is said that Catherine converted his wife. A furious Maxentius ordered the girl tortured on a breaking wheel, but it didn’t take. Instead, she was beheaded. Chances are that Catherine’s story is the stuff of legend. No matter. Catherine would become powerfully popular. Around the year 800, her uncorrupted remains were discovered on Mount Sinai. Pilgrimages became common, and shrines to Catherine developed elsewhere in Europe, including Rouen and Hampshire. Anglo-Saxon English didn’t include the letter C, so if the name were imported to English, she would have been Katherine. But her popularity gained after the Crusaders embraced the Cult of St. Catherine, a few centuries later. She’d become one of the most important saints in the Middle Ages. As the patron saint of learning, her popularity did not wane in the Renaissance. St. Catharine’s College, Cambridge was founded in 1473 and named after the saint. St. Catherine was also considered a role model for young, unmarried women. In French, women who reached the age of 25 unmarried were called Catherinettes. It would be impossible to list all of the famous Catherines. There are more saints, and then there are the royals. Henry V married Catherine of Valois. It’s also found in the royal house of Hungary in the fourteenth century. Catherine the Great was a minor Prussian princess who went on to rule Russia. The spelling has never been resolved in English. Three of Henry VIII’s six wives were Katherine, with several spellings used. Eighteenth century British Prime Minister Robert Walpole married Catherine, but the couple named their eldest daughter Katherine. The K spelling has been more popular in American English in recent decades, but now that Kate Middleton is set to become Queen Catherine, the C spelling has a chance at revival. If you’re after a rock solid classic with rich history, few names suit better than Catherine – in all of her various spellings. I am seeing a lot of Catherine Elizabeths in BAs at the moment, and can’t help thinking it seems awfully coincidental considering that this is the full name of the Duchess of Cambridge …. I’m a 4th generation Katherine/Kathryn (my family has alternated spellings)! So far there’s been a Kate, Kay, Kathy and Katy, and if I ever have a daughter I would be very tempted to follow tradition, maybe with Kat as a nickname. I like the idea of Thea though! I think Kay could become more again as a nickname following the increasing popularity of May/Mae. So nice to see my daughter’s second middle name profiled! I actually didn’t do any research on its origins before choosing it, because it’s my sister’s name and I just love the sound of it, but I appreciate learning more. I much prefer the Catherine spelling for some reason, and like the full name better than most of its nicknames (though the local diminutive Catou is rather cute). My daughter’s middle name is Katherine (after two of her great-grandmothers, Katherine and Catherine, nn Katie). I’m obviously a fan of the K spelling, but I think the C has its special charm too. I have always loved Katherine in all its usual spellings (Katherine, Katharine, Catherine, Kathryn), and expect I always will. My favorite nicknames for it are Kit and Kitty. This is one of my unwavering favorites. It’s always in or just outside of my top 5. I prefer using Thea to Katie/Catie or Kate/Cate for a nickname, though. And I prefer ‘c’s on all of the names. Catherine, Cate, Catie, Cat. Except Kitty. Such a great name!